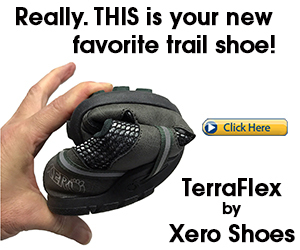 Running shoes with heel protection is the standard running shoe worn by most runners. Not only do these shoes translate into heel strike running, the impact of heel strike running is so intense, that it hard to run comfortably, even in thick heeled running shoes. A study by Dinato et al. found no improvements in comfort when heel strikers wore various types of under-heel protective material (EVA foam, gel, etc.) during running. Their data showed no relation between perception of comfort and biomechanical variables for any of the investigated running shoes. This means that for each under-heel cushioning tested, heel strike running was not perceived as more comfortable. Why? Milani et al. 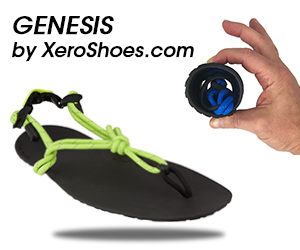 found that with greater heel cushioning, heel strikers landed with higher loading rates. Some experts even believe that cushioned running shoes accelerates impact because thicker cushioning prevents the body from fulfilling a stable interaction with the ground. What is more is that foot strike was perceived as comfortable when heel strikers wore a stiff running shoe with less heel protection. The increased level of comfort was the result of biomechanical changes in response to a stiffer outsole and reduced heel protection. Essentially, the lack of heel protection prompted heel strikers to change their landing strategy to a forefoot strike in attempt to avoid high impact on the heel, therefore a comfortable landing was carried out. Foot strike has bigger effects on perception of comfort than shoe cushioning. Comparatively, forefoot running reduces loading and feels comfortable especially at faster speeds and when barefoot. 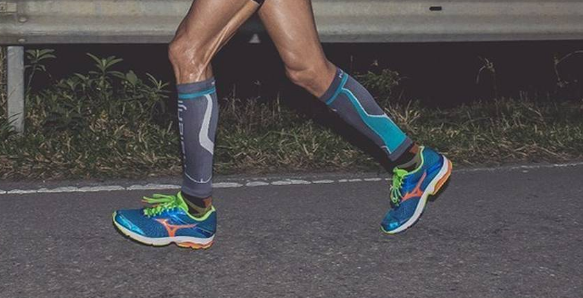 Forefoot running in minimalist shoes, like the Vibram FiveFingers (as seen above), provides more softness than heel striking in excessive cushioned running shoes because minimalist shoes facilitate a forefoot strike landing which dramatically reduces joint-damaging impact. The researchers of the current study recommended selecting a running shoe not based on perception of comfort, but upon the technology of the shoe which provides lower loading rates. 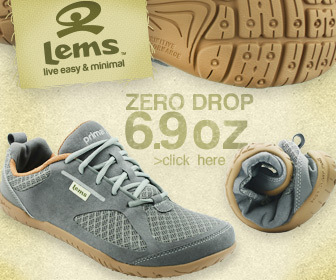 Such shoes are zero-drop minimalist shoes with no support, no under-heel cushioning and facilitates proper adjustments in the legs to minimize loading. What Causes Runners Knee Pain? Dinato et al. Biomechanical variables and perception of comfort in running shoes with different cushioning technologies. J Sci Med Sport, 2015. 18: 93-97. Henning et al. Biomechanical variables and the perception of cushioning for running in various types of footwear. J Appli Biomech, 1996; 12(2):143-150.